A Prevention Centre dynamic simulation model of alcohol use in Tasmania is directly informing Tasmania’s forthcoming Alcohol Action Framework. The project follows from a similar model looking at alcohol consumption and the effectiveness of harm-reduction policies in NSW. 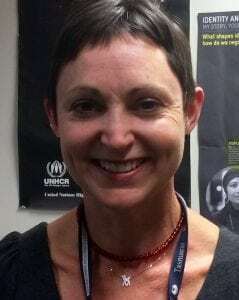 Ms Kate Garvey, Manager, Partnership Development at the Department of Health and Human Services Tasmania (DHHS), said the modelling process was leading to new ways of thinking about tackling complex issues like harmful alcohol consumption. Dynamic simulation models enable users to forecast the likely impact of interventions over time, either individually or in different combinations. The participatory process brings together a wide range of stakeholders as well as research and data, leading to better understanding of the impact of interventions and the linkages between them. In Tasmania, the modelling process has brought together stakeholders including alcohol and drugs services, youth services, the Liquor Commission, Treasury, Police and the Education Department. The Tasmanian modelling project grew from close connections between the Prevention Centre and the DHHS, fostered through another project, Prevention Tracker in Glenorchy.